When building a custom home, design, features and price are important. And just as important is the longevity, stability and track record of your builder. 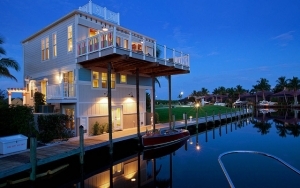 Marvin Development Corporation has been building custom homes in Southwest Florida since 1972 and has earned an unparalleled reputation for quality on a local, state and nationwide level. Dear Mr. Durling, It was great to build and to know along the way exactly where it stood. More importantly, no surprises at closing. You are a man of your word and I will not hesitate to highly recommend you to future home owners.